Pristine new garments selected from the international catwalks, and on occasion period pieces and items from the High Street, are styled by Vogue to entice, inspire, and assist their readers' own fashion and style choices. Fashionable dress for the forthcoming season is presented in the context of consumption. But, when the occasion calls, how does Vogue convey, textually and visually, the history and museological interpretations of its subject to the reader? This paper focuses upon the museological significance of the images and text that have appeared in British Vogue in relation to fashion exhibitions staged at the V&A since 1971, and in particular upon “Fashion: an anthology by Cecil Beaton”. A Chanel suit dating from 1937-38, originally worn by Vogue's one-time Fashion Editor Diana Vreeland and subsequently photographed for the magazine's 1971 preview article on Beaton's exhibition, is case-studied to explore the implications of re-presenting worn dress that possesses biography within the context of Vogue. Briefer reference is made to more recent exhibitions which have focused upon “worn” clothes, or where Vogue has engaged with the clothes they have photographed in a museological context. This includes reportage of the dress worn by celebrity guests attending the private view parties for the magazine's “People” page or commissioned still-life photography of “empty” garments, to illustrate fashion exhibition previews. 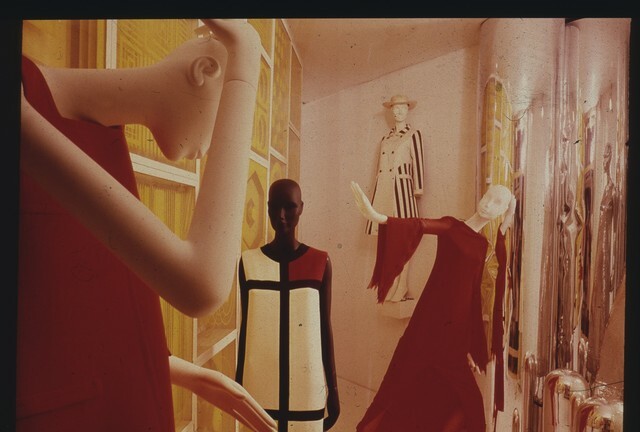 I am writing a book, with LCF colleague Judith Clark, on the discipline of curating fashion for Yale University Press. As a trained dress historian and museum curator I will explore history and current practice and Judith, as a qualified architect and exhibition-maker, will focus upon design and installation issues. It centres around the 1971 Cecil Beaton exhibition at the V&A. To be published 1912. With Valerie D. Mendes, I am writing a book about the archive of the House of Worth, which is housed at the Victoria & Albert Museum. It contains evidence about the couture house’s later, and lesser known, history from the 1890s through to the 1950s and its recent revival. I would like to develop another curatorial project, possibly on fashion in the Edwardian era.